Landra has been in the ballroom dancing industry since 1999. Having worked professionally for Arthur Murray Franchised schools as well as in her own dance studio, she brings 16 years of experience as a dance instructor, dance competitor, dance trainer, studio manager, and studio owner. In her experience with the Arthur Murray organization, she won several awards which acknowledged her excellence in all these roles. These included the “Top New Student Director” Award and the “Top Manager” Award. In 2004, she achieved highly-coveted international recognition within the organization by receiving the “Top Overall Instructor Award World-Wide” for the year. Although Landra is well-recognized for the high quality of her teaching at all levels of dancing—from beginner to advanced—in her career as dance instructor, she quickly developed a reputation for having the gift of teaching new students during ballroom dance classes. She makes learning how to dance easy and fun and keeps her students motivated and coming back for more. On a competitive level, Landra is known as “Fearless” by the people who know her best. Her dedication to the sport of competitive dancing has caught the attention of students, judges, and fellow staff members. The mindset which drives her competitive spirit is a determination to always be the best, not solely on the basis of talent, but more importantly, on the willingness to put in the hard work, day in and day out, which is needed to stand out amongst fellow competitors. The creativity demanded of choreography makes it an area of special interest to Landra. She is inspired by the need to tell the story that unfolds when a musical piece serves as backdrop to a dance. She trains her students (and staff) on exactly how to portray emotions through not just dancing but also through body language and focal points. 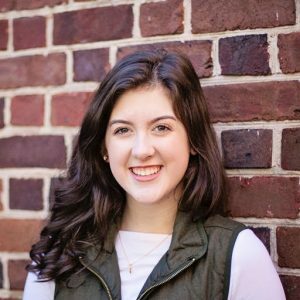 Because a routine with no story is like watching a movie with no plot, Landra spends hours making sure her innovative choreography matches a student’s personality. The excellence of her students’ performance of show routines has been recognized through attainment of the “Top Overall Showcase Routine Award” at national competitions. For wedding couples, Landra understands that what makes the first dance so special is the celebration of the bride and groom. Whether a bridal couple is looking for something simple or more in-depth, her goal is to personalize the first dance to the song chosen by the couple and develop a choreography suited to their personality. To accomplish this, she considers how a couple’s learning ability and vision can be coaxed into the development of something better than expected. Aldo began his dance career in 2014, training to become a Salsa and Bachata instructor. 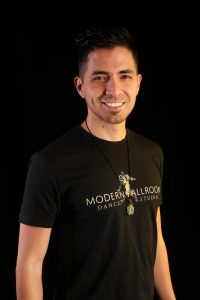 Shortly thereafter he began teaching at festivals and clubs all over the DMV area, and has become one of the main instructors at The Salsa Room and Mr. Mambos events. Aldos’ main joy in dance comes from body isolations, which is one of the reasons why he loves Sensual/Modern Bachata. Though you can find him dancing on social floors throughout the week, his true love is for teaching. 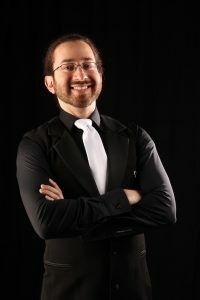 His workshops and lessons have a strong focus on making legible leads and attentive follows, with an overall focus on body control. In 2018, Aldo had the idea to bring his favorite dance to groups that would never otherwise be exposed to lessons, by creating workshops suchs as Latin Dancing for Nerds and Leading Ladies. The goal is to bring new people to the scene, help them overcome social anxieties, help them find what they think is lost, open up avenues for new experiences and to be excellent to each other. Hannah Swim Trained in ballet and jazz at Barlow Arts Conservatory. She has performed with Barlow Arts Convervatory, American Heritage School, and South Country High School. She has guest choreographed various numbers for community events, South County High School, and American Heritgage School. She has taught music to children for the past several years and is looking forward to sharing her love of dance with the children at Modern Ballroom Dance Studio.